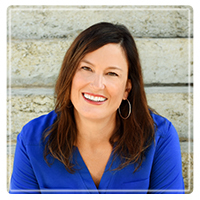 Denton Therapist: Cyndi Doyle - Therapist 76201. Send A Message To Cyndi. I am a Licensed Professional Counselor (LPC) and National Certified Counselor (NCC) with over 10 years experience. My counseling style combines compassion, common sense, straight-talk, and clinical expertise in a relaxed, accepting, and comfortable environment. Whether you want to address a specific problem or improve your overall quality of life, we can work together to help you find both short-term relief and long-term solutions. My approach is tailored to fit individual needs. I am guided by the cognitive-behavioral model, which looks at the connection between thoughts, feelings, and behaviors. Concepts and techniques from other theoretical perspectives are integrated as appropriate. I advocate balance and care for the person as a whole--body, mind, and spirit. My experience includes working with a wide variety of people including adults, children, and teens. The majority of my clients focus on resolving issues such as depression, anxiety, grief, anger, impulse control, substance use, communication problems, life/work balance, and career issues. Play therapy and activity therapy are used with children under the age of 10. I work with couples to establish effective communication, regaining trust, forgiveness, and understanding needs and desires of both partners. I enjoy helping couples gain insight into their partner’s personality and teach effective tools to make relationships stronger. On some occasions couples may need assistance with ending a relationship on amicable terms and reducing the negative effects on the family. In addition to my experience in mental health counseling, I am a certified Master Career Counselor. Career counseling incorporates exploring your values, transferable skills, personality, and interests. This information provides the foundation resulting in a satisfying career path. I try to accommodate my clients offering day, evening and some weekend availability. It is important that you find a counselor/mental health professional with whom you connect. I am happy to answer your questions and determine how I can be of help. Feel free to contact me at 940-565-8300.